Ever heard of IT outsourcing services? Sounds pretty boring, huh? Ok, we get it. Managing the needs of your business technology might not seem like the most exciting thing to learn. 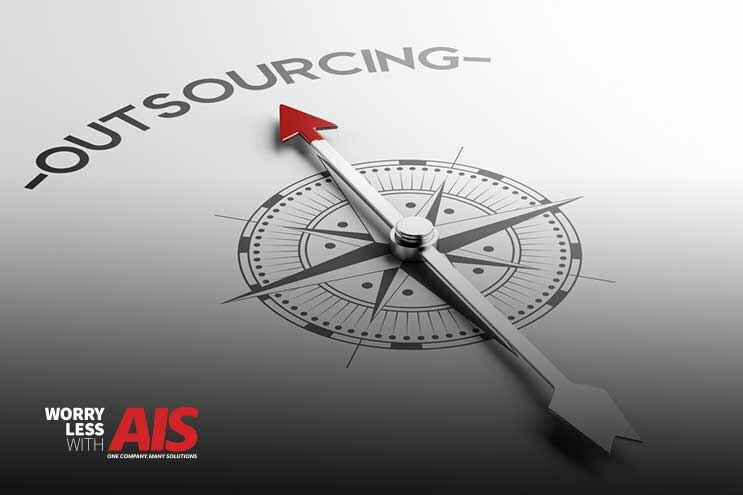 However, did you know that IT outsourcing services are one of the best things you can do for your business and employees? IT outsourcing manages your day-to-day tasks and information technology needs of your business, simply by taking these needs out of your hands and outing them in the hands of experts. When it comes to your business and the goals you wish to accomplish, outsourcing your technology not only makes more time to focus on more important and pressing tasks— but, it helps support the growth and sustainability of your business. A Managed Service Provider, or MSP, can quickly and efficiently supplement your in-house IT department or even become your IT department, depending on your business goals and budget. An MSP is essentially your IT department who can proactively manage your information technology assets on behalf of your company. This differs from traditional IT which is more of a reactive service, built around a break/fix model. What is a break/fix model? When your IT systems break, your IT department stops what they are doing and fixes them instead of proactively managing your systems, preventing these issues from occurring in the first place. Not that there’s anything wrong with that, but this is a practice that many small to medium businesses (SMBs) follow. Follow along as we go through how IT outsourcing works by learning of the best types of services that benefit your specific business technology needs. Many companies, probably similar to yours, manage their own IT infrastructure on a day-to-day basis, and there’s nothing wrong what that. However, there are some serious benefits to look into when it comes to outsourcing your IT needs. Do any of these challenges sound familiar? If so, this might be the first step in understanding what IT outsourcing services are and how these services can significantly help you and your employees. Before you give up on the idea of IT outsourcing, it’s worth a shot to at least learn what challenges your company faces by using an in-house IT department. Some of these challenges might be ones you aren’t even aware of, which is even more essential to understanding your business needs. Interested in learning more about the risks your business faces without outsourcing your IT? Read our article, Is Your Business at Risk Without Managed IT Services? What’s Included in IT Outsourcing Services? What are the most common IT services your business needs or utilizes every day? Take some time to make a list of the most important technology assets and your company currently uses, or services you wish your business utilized. Think of IT outsourcing as a partnership, or an extended arm of your business, rather than a vendor you pay each month that you rarely see. Partnering with the right outsourcing company allows your business to form a trusting, reliable, and professional relationship. There’s a lot of different services that make up IT outsourcing, but here’s a brief summary of the services most businesses benefit from the most. Helpdesk Support: An IT outsourcing helpdesk troubleshoots your IT issues as they occur and can help boost your business. A Helpdesk can simplify management, reduce costs, increase productivity, provide you with tracking and reporting, and the availability to communicate with you as needed. Data Backup, Recovery, and Security: Data loss, accidental or by theft, is one of the most significant concerns for businesses. IT outsourcing services offer complete protection with a secure firewall, servers, malware, and virus protection. Intensive data security service stops thieves, hackers, and criminals in their tracks. Proactive security and 24/7 monitoring of your network help eliminate attempted cyber-hacks from happening, as well as anti-virus patches and other software updates to be done quickly. “The Future of Things” published an article on the importance of data backup and recovery you might find interesting that can read here, The Importance of Data Backup and Data Recovery. Technical Support: Technical support is a business, department, provider, or staff which offers help with managing computer technology. Technical support can be in many forms, including desktop, application, mobile, networking, hosting, website, and IT security. Many businesses build an in-house team of experts to handle IT support for their company in these areas. By identifying the right outsourcing vendors, you can off-load these duties to take advantage of the cost savings with minimal capital outlay. This is especially true for small to medium-sized business (SMBs) that are managing growth. Also, outsourcing IT allows a business to tap into more substantial business technology resources and expertise while staying focused on their core business objectives. Technology Road Mapping and Planning: With the help of an IT outsourcing services team, you can create technology plans to future-proof your business. Make sure to keep a focus on your business goals with the technology you’re currently using and how you plan to grow with new technology as it emerges. Application and Database Development: The more up-to-date your software and computer applications are, the easier your life is going to be. An IT outsourcing service can provide you with the right software applications to ensure your business is using the most updated technology. It can also develop new software specific to your business needs and job duties. Virtual CIO (vCIO): A vCIO, also known as a Virtual CIO (Chief Information Officer). The vCIO may be a consultant, third-party, or business that offers a service (part-time person) to fulfill the role as a current CIO. This service helps businesses that can’t afford the salary and benefits for a full-time executive. A vCIO usually works remotely and provides support in developing a technology roadmap, review, and maintenance of IT infrastructure, vendor management, new technology, and recommendations. Reporting: Detailed reporting allows you to see the applications taking up the majority of your network resources. Monitoring also provides insight into traffic bottlenecks and peak periods so that you can add more capacity when needed and prevent your employees from becoming frustrated. Learn even more about IT outsourcing services and what’s included in your partnership with a service provider by reading our article, What are IT Outsourcing Services? Predictable budgeting, meaning a set fee for your services. Access to leading network technologies and management expertise, without high capital expenditures or ongoing investments in upgrades, IT staffing, and maintenance resources. One point of contact for vendor management. Proactive management of your network, allowing preventative maintenance on all your equipment. Service level agreements (SLAs) which guarantee predictable response and resolution times for network problems. If you have a lot of unexpected costs, lots of downtime on your computers, or are unsure of whether or not you have the right IT systems in place, it's time to seek out a new partner. An IT outsourcing services partner. Our goal at AIS is to educate you and your employees on the best business practices to ensure business growth and success. We believe in helping our current, and future customers make the best decisions when it comes to office technology. If there’s anything we didn’t answer regarding the benefits of IT outsourcing, or you’d like to learn more, reach out to one of our business technology consultants. Don’t forget to check out our video channel on YouTube, The Copier Channel. We’re here to give you peace of mind to help you win more business.